Permanent Style launch party – London! We are holding a launch party for our Permanent Style 2015 book in London – and it would be great to have as many of you there as possible. The event will take place on Thursday June 25 on the first floor of the Globe-Trotter shop on Albemarle Street. We have room for about 40 readers, so please email me on simon@simoncrompton.co.uk if you want to come. There will be books on sale on the night, but more importantly I’m also available if anyone would like their copy signed. Or just come for the cocktails and to meet some of the brands included. 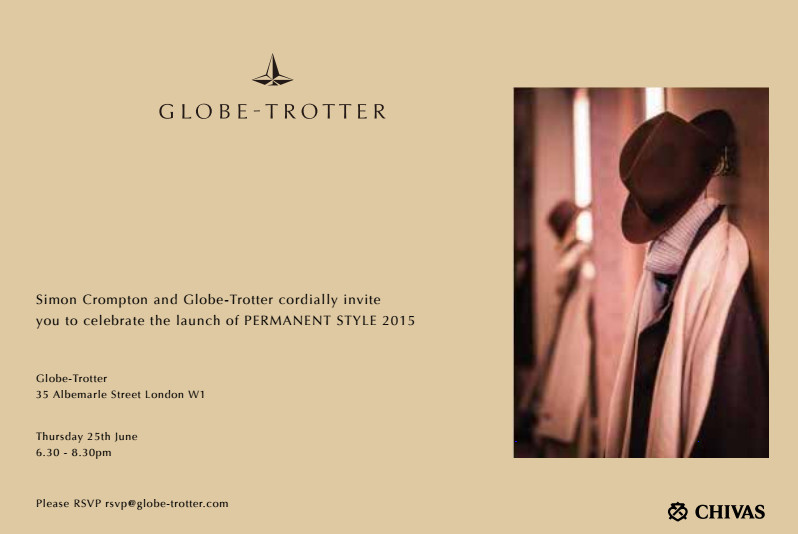 You can follow the discussion on Permanent Style launch party – London! by entering your email address in the box below. You will then receive an email every time a new comment is added. These will also contain a link to a page where you can stop the alerts, and remove all of your related data from the site. I’m gutted that this is two days after my operation and therefore I won’t be able to make it. Enjoy and see you at the next one. A great video. That indeed covers many aspects from the tailors and clients side. Akshat and his family are by far our greatest competitor and reference for shirt tailoring. Keep on the great work.